Lihle, a local woman from the tribal village of Kwa Shange in South Africa, has a big heart and a big vision. In Lihle’s village there are increasing numbers of orphaned and vulnerable children due to a high prevalence of HIV/Aids. At the same time many children die before the age of 2, so there is an urgent need for improved maternal healthcare. 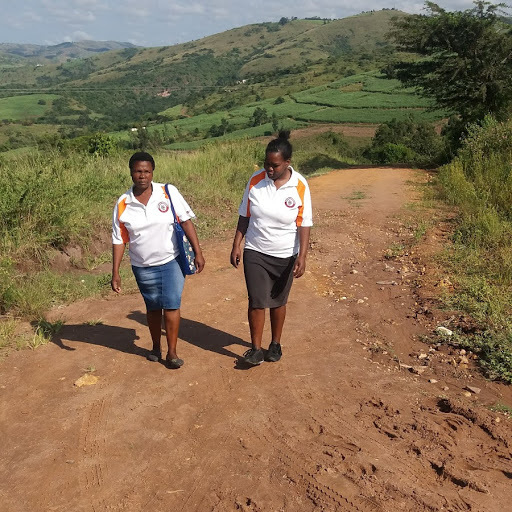 In 2006 Lihle set up education and maternity health programmes to address these two key issues her community faces and break the cycle of poverty. Here's how she does it. In Kwa Shange, children have little to no education because most of their caregivers are illiterate, they have to leave school to care for siblings, or they have no birth certificates so they can’t legally enter state schools at all. Lihle set up a team of local volunteers who shared her vision and established a centre which offers free education to the orphaned and vulnerable children in her village. This centre provides children with basic life skills and early childhood development education, including reading, writing, social skills, sports and horticulture. She understands the importance of preserving the local culture so teaches traditional beadwork and storytelling as well. The students also receive a healthy lunch each day which is often the only decent meal they’ll have. From her work with children in the community, Lihle knows first-hand the serious developmental effects that malnutrition has on children and knows that it starts right at the beginning during pregnancy. Lihle’s maternity programme operates where there is no government support for maternity healthcare. It provides free information to expecting and current mothers by offering home visits and group classes, as well as food and nutrition packs, so that women can learn how to best prepare for birth, and gain an understanding of postnatal care, immunisation and breastfeeding. Lihle’s team also provide mass education seminars, and facilitate community dialogues and mothers’ support groups. Women are now being checked by a doctor during pregnancy, and more newborns are being brought into the local clinic for regular health checks. Lihle’s two programmes have been extremely successful and she now teaches 180 students and provides maternity healthcare to 35 women and their babies, making a huge impact on the lives of the most vulnerable people in Kwa Shange. Until now she has done all this as a volunteer, sustaining herself by growing and selling vegetables with a little extra support from her son. However, as her son has recently moved to university in the capital he is unable to support her and her small vegetable side-business is no longer enough. $1,038 will provide a salary for Lihle, enabling her to sustain and expand her essential services so that more children and mothers can receive the education and care they deserve.